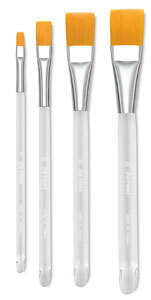 Nova Series 18 Flat Wash brushes have a very sharp painting edge and good spring. 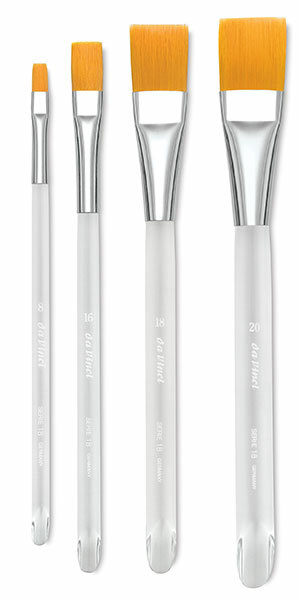 They feature aquarelle handles of clear plexiglass with beveled ends for scraping off color. All have nickel-plated, seamless brass ferrules that are resistant to rust.